with Foster's tower. Mainly because I knew Foster wouldn't disappoint. Gothic Modernism. This one's a real beauty. “We made it as slim as possible, like many of the older [towers] of a 100 years ago, to give it a stronger feel of reaching upwards,” Rogers explained. 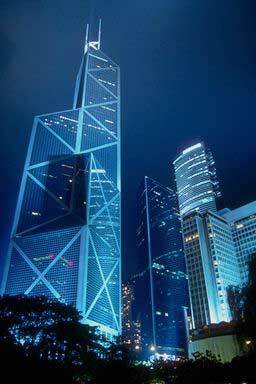 This is my favorite building of the group. I like the Foster building also but it's too "look at me" for the location. Uhm.....I see the "Modernism" aspect of it, but with that comparison that Zipp gave us above I'm having a hard time picking up the "Gothic" component of Rogers' tower. I wish atleast one building in the NWTC complex had a similar fascade or base, but I like the design direction of Rogers tower. 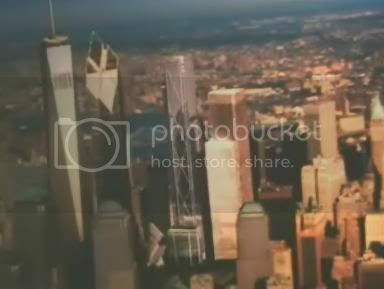 Screencaps of amazing flyover video of the site presented in the official press conference. How'd you get those screen captures? I tried it on my computer, but every time I pasted the print screen the video window appeared as a black box. 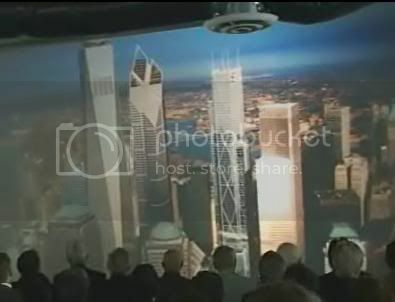 The problem with WTC 3 is that WTC 4 will stand next to it, and with its bulky, featureless base will totally blow the scale. Can we start a petition to rethink Maki's design?